Papal addresses and documents fall into certain recognized categories with levels of authority relative to each other. The weight of authority behind a teaching of the Papal Magisterium depends on the dogmatic history of the teaching and the intention of the Supreme Pontiff. Papal addresses and documents invariably contain teachings in several categories and levels of authority. The following lists those categories from those with the highest weight to those with the least. Motu proprios are legislative, apostolic letters written and signed by the pope on his own initiative. Originally used to settle the affairs of the Curia and administer the Papal States, they now handle legislative matters which are significant but do not merit a constitution. Motu proprios are generally brief, and handle specific issues relevant to the Church in a specific time in history. In recent years they have been one of the principal sources of new laws outside of the Code. Apostolic constitutions are the most solemn form of legal document issued by the pope in his own name. Frequently issued as bulls, they deal primarily with serious doctrinal matters. Since 1911 they have also been used for the establishment of dioceses and provinces. Many important documents have been promulgated as constitutions, including The Code of Canon Law. 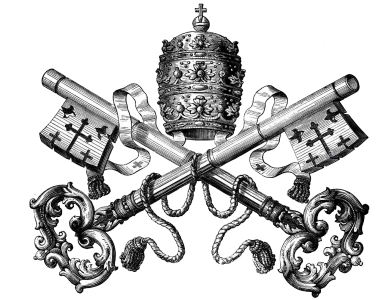 Encyclicals are papal letters of a pastoral nature, used in their current form since 1740. These letters offer counsel and shed light on existing doctrine as part of the Holy Father’s ordinary teaching authority. They do not belong formally to the deposit of revelation, and their teachings are not definitive unless specifically stated as such. Therefore, certain points of their teachings can often be changed. Apostolic letters are when an encyclical is written in response to a particular need, or when it is addressed to a specific group of persons. These letters, pastoral in nature and primarily discussing social concerns, are not considered legislative documents.